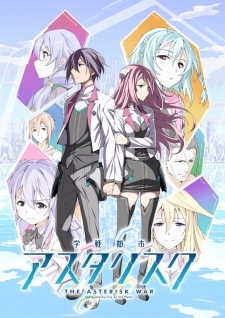 Here are my top picks for anime like Gakusen Toshi Asterisk[also known as The Asterisk War: The Academy City on the Water]. Keep in mind the list is in no particular order. Enjoy the recommendations! 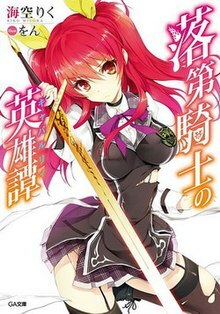 The story is set in Areishia Spirit Academy, where girls from noble families are educated to become spirit contractors. A boy named Kamito, a male spirit contractor whose existence Was believed to be impossible, accidentally peeps on a girl named Clair while she was bathing, and forms a contract with the spirit she set her sights on. 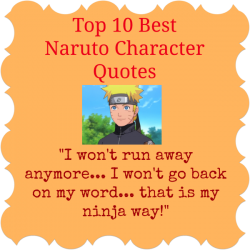 In order to make up for his mistake, Kamito must become Clair’s contracted spirit. Swords of Salvation, known as Saviors, are special people chosen from across Japan who inherited the memories of their previous lives and able to use the miraculous power of the Ancestral Arts. They are being trained in order to break down Metaphysicals who randomly attack. Set in a slightly futuristic world where Earth has been invaded and is at war with aliens from another dimension called the Nova, the story follows the adventures of a Japanese boy named Kazuya Aoi who enrolls for training at a special school for genetically modified girls called Pandoras who battle the aliens, and their male partners, called Limiters, who use a special power called “freezing” to limit their opponent’s mobility. 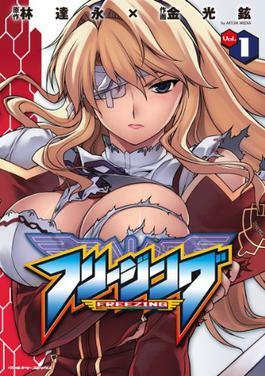 The protagonist makes the acquaintance of an unusual older girl named Bridgette L. Satellizer who appears to be the most powerful Pandora in her class, but has not yet chosen a male partner to be her Limiter, and in spite of the warnings of all his friends, he decides to be her Limiter. 7 Anime Like Is It Wrong to Try to Pick Up Girls in a Dungeon?